Emaar Development, the UAE build-to-sell property development business majority-owned by Emaar Properties, has launched Grande, a 78-storey residential tower located in the heart of The Opera District in Downtown Dubai. With this new development, Emaar is offering one of the last opportunities to invest in a premium residence in Downtown Dubai, the world’s most visited lifestyle destination. At the heart of The Opera District, Grande offers direct views of Burj Khalifa with Burj Park by its doorstep and The Dubai Mall in walking distance, said a statement from Emaar Development. Residents become part of one of the most thriving lifestyle destinations in Dubai with spectacular views of the worl’s largest tower and full views of the dazzling daily performances of The Dubai Fountain. They also live next-door to Dubai Opera, the new cultural hub of the city that hosts leading performers from across the world, it added. Residents will be part of a thriving neighbourhood with art, music and cultural events at their doorstep, with a diversity of choices – from daily shows, celebrity visits and year-round entertainment. Assuring a premium lifestyle in Dubai’s most popular cultural and entertainment destination, Grande features one-, two, three and four-bedroom apartments, and is a not-to-miss investment opportunity given the demand for homes in Downtown Dubai. Emaar will start the sale of Grande residences from tomorrow (May 13) at its offices in Downtown Dubai, the Dubai Hills Estate Sales Pavilion located on Umm Suqeim Road, the Dubai Creek Harbour Sales Centre in Ras Al Khor, the Emaar South Sales Centre on the DWC Peripheral Road in Dubai South and the Abu Dhabi Sales Centre at Al Nahda Tower, said the statement. Elegantly designed, Grande’s slender, sleek architecture is underpinned by a vast footprint by the Burj Lake with residents stepping out directly to a promenade with retail outlets and restaurants. The waterfront avenue winds up to The Dubai Mall, the world’s largest and most-visited retail and leisure destination. Residents are also in walking distance of the Sheikh Mohammed bin Rashid Boulevard, which features an inspiring selection of restaurants, trendy cafes and artistic attractions. “Grande is a spectacular addition to Downtown Dubai, which will add to the skyline of the nation. Residents become part of a thriving cultural and lifestyle hub with spectacular views of Burj Khalifa and The Dubai Fountain, and effortless proximity to Dubai Opera and The Dubai Mall,” he added. 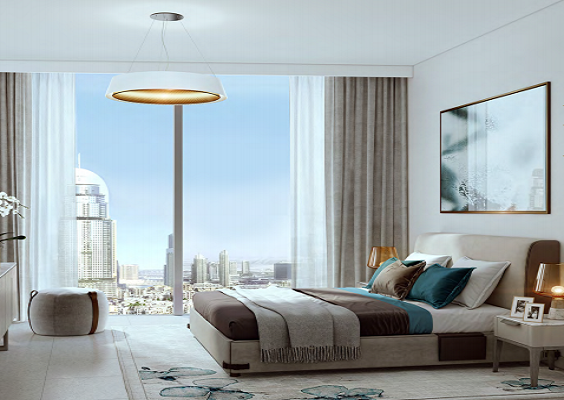 Emaar launches residential tower in Downtown Dubai – Grande. All rights reserved to the initial publisher for Trade Arabia .